I hope you’ve had a great weekend filled with good food and craft. I just realised that I forgot to share my last two pairs of socks with you. My husband’s Aunty recently contacted me and asked if I could make her and her husband a pair of socks each. 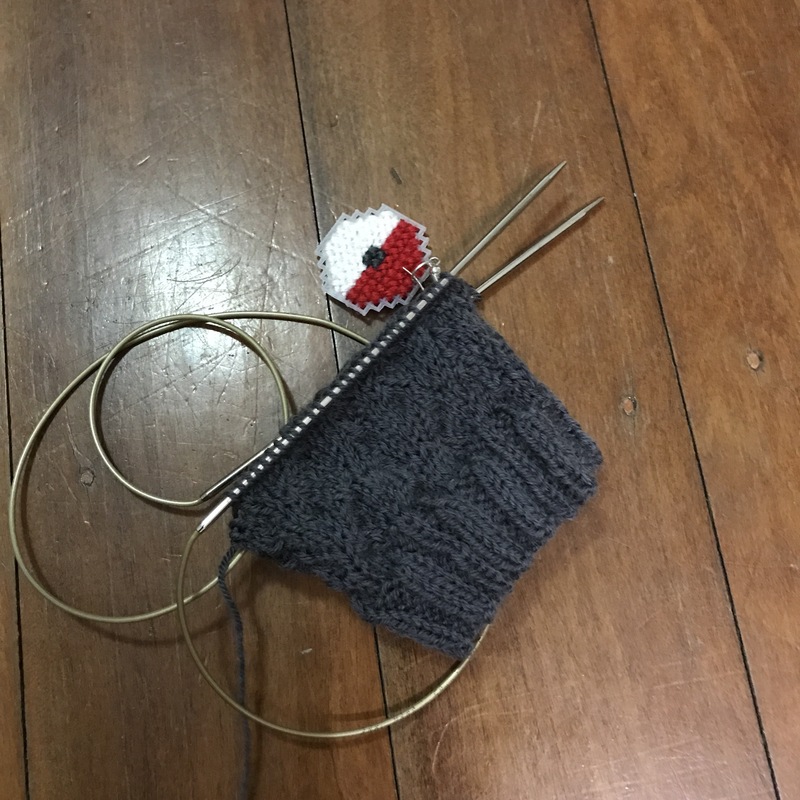 Considering I’ve been way behind with my sock knitting goal and that I knew I was going to see her when I went to Brisbane, I thought it would be a great challenge. What I learnt from that is that I can indeed knit a pair of vanilla socks in a week, but I would probably not do that again as I didn’t have any time to do other craft during this time. This pair was for her, as she mentioned she liked the blue colour but didn’t want very dark colours mixed in. This was a breeze to work with and went quite fast as it was a size 9. A bit more tricky, these were size 13 and seemed to take forever but I really liked finishing them, especially considering I managed to match them quite well! My next pair might be a pair for baby, I need to see if I can still use my DPNs, which I haven’t used since I’ve discovered I could knit socks on short circulars. I think I might also not bother with a heel, and just make him tube socks that would hopefully last him a bit longer. I’m sorry if today’s post looks a bit weird, for some reason my computer refuses to let me write a new post so I have to write on my phone. Hopefully the format isn’t too off. I have finally finished hubby’s socks and he was pretty pleased with that! With autumn coming up in Australia it was about time too! I think that was a good way to finish the month too, I’m looking forward to sharing my 18 for 2018 on Friday with you. This weekend, the hubby and I have driven all the way from Brisbane in Queensland to Melbourne in Victoria to our new house! I’m very excited to be here finally, but I am also very excited that I got knitting and crochet time in the car! Crochet-wise, I got some progress on my Swaye shawl (more on Wednesday) but I did manage to get a FO in knitting: my Hermione’s everyday socks! I’m so excited about those socks, they are ultra soft, I adore the colours and the pattern. Really they are just a total winner! The pattern I used is a free pattern on Ravelry from Dreams in Fiber (Erica Lueder) and I am planning on trying out another of her patterns soon! I just love that a lot of them are inspired by Harry Potter! And the yarn is from Fibre Revolution on Etsy, I just fell in love with all the colours they have, and you’ll be seeing a lot more of their yarn soon as I’ve got 6 skeins from my sock yarn club! In view of my move to Melbourne in a couple of months, I have decided to start crocheting and knitting more winter wear (it’s really cold down there compared to Brisbane). I haven’t knitted a full jumper in a few years and I though it was about time to get to it again. My nana recently sent me a parcel with some lovely aran weight yarn, so I decided to go with a chunky jumper. The pattern is the textured jumper with stripes from Isabell Kraemer, and I already have my eyes set on other patterns from her (I honestly love most of her patterns, I’m going to have a hard time choosing the next one!). Because I haven’t knitted anything big in a while though, I decided to go with one of her free patterns first, just to get back in the swing of things. Also, the jumper is meant to be textured but I decided against. I am adding a few extra colours to my jumper, and I thought it would be too busy if I added a pattern on top of that. I’m pretty happy with how it’s going at the moment, I am making stripes on the main body of the jumper as well (white and light blue), but I want them to fade, so I had some maths to do, we will see if it turns out okay! I also want to crochet another shawl from Addidae Designs, Swaye. It’s so beautiful, and I have chosen those three colours, with the pink as my feature colour. What do you think? I’m probably going to start this on my way to Europe next month, I might as well make use of the 26 hours of flight! I have made a start on a new pair of sock, the Hermione’s Everyday Socks by Erica Lueder. I am using my Sea foam yarn I got earlier in July, and I have to say I don’t know if I prefer the yarn or the pattern, they both are so so lovely. I’ve actually also had a look at Erica’s other patterns and I have my eyes set on a few of them. I also really like how she specifies how many repeats to do. Without further ado, here is my first sock, I’ve done the cuff and started on the main body. I’m very excited to say that I have finally finished my Mercury socks! yay! They took me a bit longer because I made a whole other pair of socks in between and also I was away all last week, so that made me a bit slow. On other news, who is watching GoT??? I’m watching it right now, and it’s good! And also thanks to Tami and Rebecca I’ve started playing the Sims again 😁 lots of fun! It looks like I’ve skipped my Friday post 🙈 whoops! It’s actually probably better that way, I have mostly been working on the same projects so maybe it wasn’t as interesting anyway. I’ve been feeling a bit under the weather last week, but after this weekend I feel motivated again and ready to get on with this new week! I have a half object (HO) today, my Sock it to me! made with the Aquagirl yarn from Fibre Revolution 😊 I love this yarn even more after working with it! It’s super soft and I love all the pops of colours, I actually think that the sock pattern I used shows them so well too. I also wanted to share with you 4 podcasts/ video blogs that I’ve really been enjoying so much in the last month. I feel like video blogs have been very popular lately, and I love being able to put a face and a voice to those bloggers. The only negative is that I get serious yarn envies and that I’ve been spending more money, but it’s supporting small businesses, so it’s okay right? 😁 Those are is no particular order, please also share with me if there is any other podcast I must watch! Potter and Bloom – I just love Emma, she makes me laugh and I love seeing all her beautiful crocheted and knitted objects. I’ve back watched all her episodes because I enjoy watching her so much (I hope that doesn’t sound too creepy 😂) She is actually the one who inspired me to start knitting again and her designs are the cutest! Zeens and Roger – Rosina is just so relatable and I love how honest she is about everything! I particularly enjoyed watching footage of her crochet corner of shame (it made me feel better about mine 😂) and since I have been follower her blog for a while too, it’s like getting to know a friend better. Lottie and Albert – Lindsey has just started her video blog adventure and I have been following her from the beginning. My favourite thing about her podcast is how enthusiastic she is, it really inspires me to see how excited she gets about projects and yarn, and I can totally relate to that! That’s it for me today! If you have other podcasts you love, please share! And have a great week! The pair I finished is the Glynis design from Cookie A. and I used Schoppel-Wolle Admiral 4 ply in grey for them. I also just started the Mercury socks from Kim Drotar, and I’m using a gradient yarn in reds and oranges for those ones. I still need to chose a design for the ones I will make for Tracy but I’m sure I’ll find the perfect one soon. TGIF! I hope you guys had a great week, mine was positively exhausting! 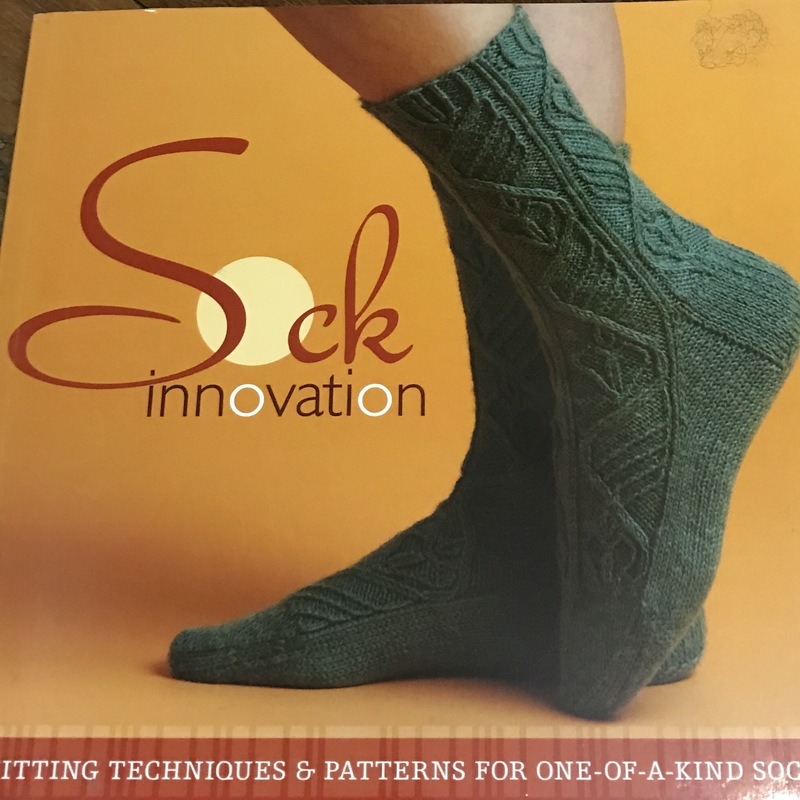 You may remember that I got some lovely yarn from Amsterdam in July and that my wonderful husband got me a really cool book to knit socks for my birthday. So I have finally decided to give it a go and I’ve found it quite fun so far. The hardest part was to get the round knitting going on my circular needles. I have knitted in the round before but only on double pointed needles, so this was a bit of a challenge at first. My goal is to finish at least one sock before the end of the month, we will see how I go with that!